If you’re looking to branch out of your fashion rut this fall, leggings might be your answer. They’re super easy to wear and style, plus they’re incredibly comfortable. What’s not to love? And if you think you can’t wear leggings if you’re over 40, think again! If styled right, they may become one of your favorite wardrobe essentials. LEGGINGS STYLE STEAL FOR MONDAY, SEPTEMBER 25TH! Don’t miss out on this limited time style steal on leggings. Use the code LEGGINGSTEAL to get $10 off. That makes the price start at $6 and everything under $20. From faux leather to lace details, you might have trouble choosing just one pair! Check out the selection and get yourself a pair of leggings on sale today. This is the perfect opportunity to try them out if you never have or to stock up if you already know how much you love them. Wear this look to the office on casual Fridays and then out to dinner that night with the girls or your special someone. The statement necklace dresses it up and the long cardigan makes it super comfy. 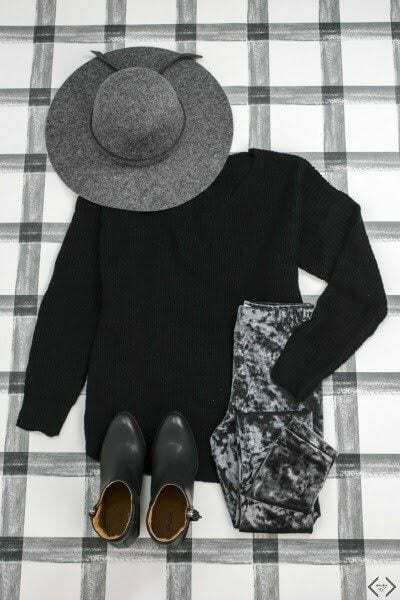 Whether you’re all cozy at home or out and about, a pair of leggings and an oversized sweater go hand in hand. Add a scarf and you’re good to go! This outfit screams girls night out! Leggings look best with tunic shirts, sweaters, and cardigans that cover your bum. They also look super cute under a dress + they add extra warmth during the cold months. Have you embraced the leggings trend? 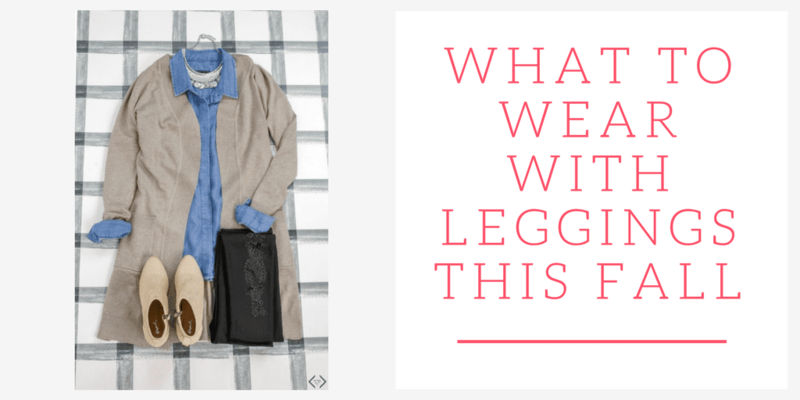 I hope these ideas gave you some inspiration for what to wear with leggings, plus some cute outfit ideas for fall! Don’t wear leggings as pants – what does this mean? Tucking in the top? Yes, tucking in the top or wearing a shirt that stops at the waist. Can I get info on clothing featured in post about what to wear with leggings?